Over the past two years the Program Coordination Committee, in collaboration with members of the Program Development Committees (Canoe, Sea Kayak & Stand Up Paddle Board), have been working on a new camping stream which we are pleased to make available for your review. 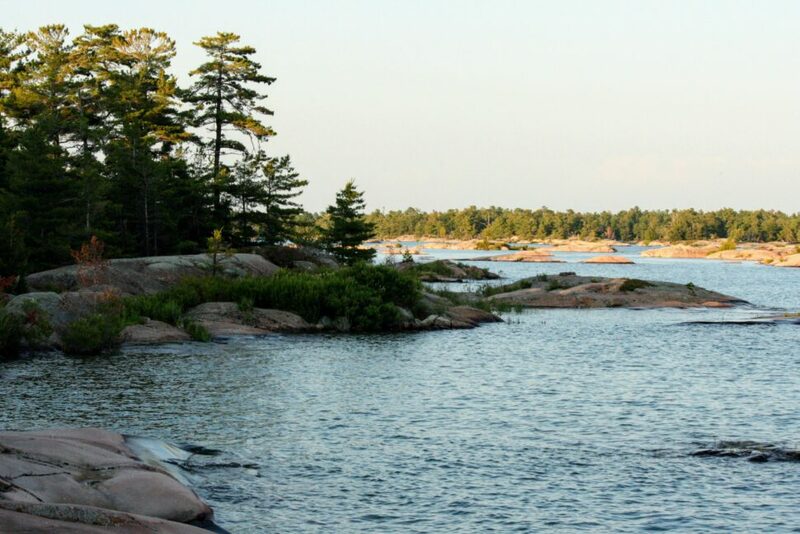 The new program consolidates the various campcraft and tripping programs from the canoe, stand up paddleboard, and sea kayak streams info one unified program. The new camping program ensures a consistent training syllabus and student experience across all streams as well as make it easier to manage and maintain. The Paddle Canada Camping Program is comprised of four levels starting with the absolute camping basics and progressing up to expedition camping skills and camping leadership. Camping Basics is designed to be an introduction to campcraft skills in a frontcountry setting. This 2-day program is for students who want to learn the concepts and skills necessary to safely enjoy camping in a campground or slightly remote(ish) setting. Wilderness Camping is is an introduction to intermediate campcraft skills, leadership and travel in a wilderness setting. This is 3-day course involves a two night camping trip. Expedition Tripping is our advanced campcraft and trip planning course for those interested in extended wilderness travel. This is a 4-day course with a two night camping trip. Camping Leadership is a 4-day course with a three night camping trip that focuses on advanced leadership, group management, expedition behaviour and campcraft skills in a wilderness setting. This course is aimed towards those who are in a position of leadership in a volunteer setting in the wilderness (eg. Scout or Girl Guide leaders, school teachers, etc.). The Camping Leadership program is written to address the specific training needs of leaders and teachers and not intended to be a traditional commercial guide training program. There are other organizations and avenues to acquire those skills already in Canada. Please note that the Instructor and Instructor Trainer streams are still under development. They will be designed in a similar format to the other training streams we offer. Since we were challenged to write a program that would work with all types of boats, the new Paddle Canada Camping Program was written with the 80/20 rule in mind. Roughly 80% of the syllabus is part of the core program that is common no matter what craft you are using. Things like cooking, setting up a tent, how to light a fire are all examples of this. The final 20% of the syllabus is for the specific skills needed for your chosen craft. How to pack a sea kayak or how to safely portage a canoe are good examples. The camping program is written to be as flexible as possible which allows instructors to offer it as either a standalone certification, or pair it with any paddling skills level. For example, if you had students just looking for campcraft skills you could offer the Wilderness Camping level alone, but if the students lacked the required paddling skills then you could combine Wilderness Camping with a canoe skills program. The details of how this will work exactly are still in development but the goal is to make it easier for all Canadians to gain access to high quality campcraft training. Over the coming months we will be working on a process to migrate over certifications of those who currently teach canoe tripping and various stand up paddleboarding and sea kayaking levels so keep your eyes open about that process as well as orientation sessions throughout the winter. The draft program outline we released today focuses on the key topics covered in each level. Once the topics are finalized, specific learning outcomes and topic benchmarks will be completed throughout the Fall/Winter. We want to hear what you think of the new program. Specifically, is there anywhere that we missed the mark or ways we can we improve it. To collect your thoughts and ideas we developed a survey below. You had better hurry though, the deadline for comments is October 5th. Please note that the only official method for submitting feedback is via the form below. Feedback submitted via other methods will be disregarded. Mid-September: Consultation and membership feedback on the draft camping program. October 5, 2018: Consultation period closes. December, 2018: Draft program released for final comments. January, 2019: Final version of camping program released, new training conference calls organized. March, 2019: Instructor and Instructor Training Streams released. March, 2019: New camping program available for use. We received a record 44 comments from instructors in all disciplines. Special thanks to all those that contributed.